What?!? So excited to be a part of another Brides.com article. 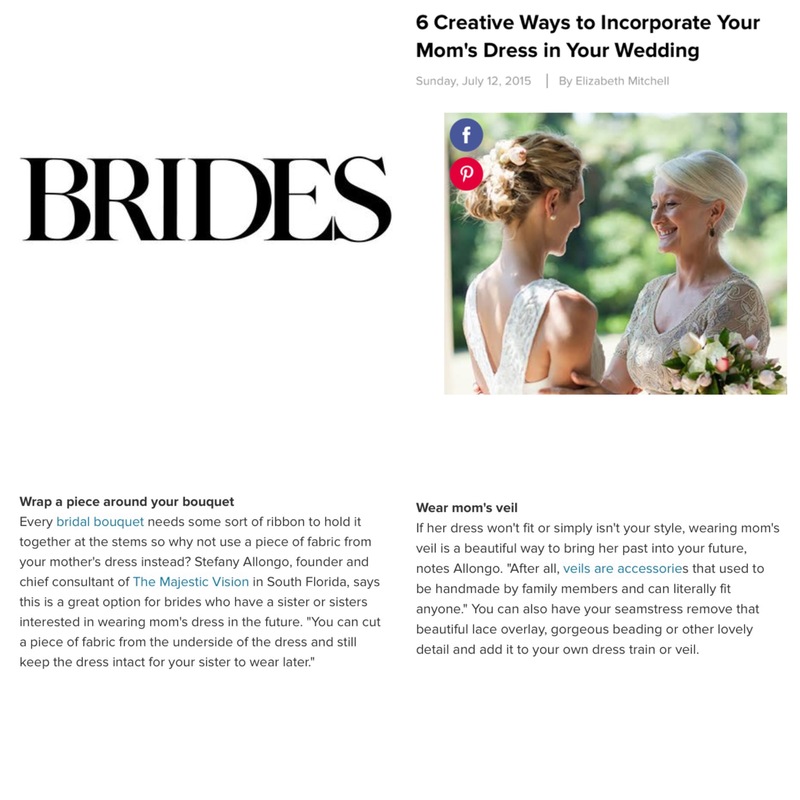 Today’s article was “6 Ways to Incorporate Your Mom’s Dress in Your Wedding “. This subject hits close to home, as I myself included parts of my mom’s dress in my wedding day since there was no way I would actually fit into her dress. I gave two pieces of advice. The first is wrap a piece of the dress around your bouquet. The second is to wear your mom’s veil instead. Thanks again to Elisabeth over at Brides.com for the opportunity to contribute.